In solidarity with the National GSA Network, Ohio's GSA Network is a dynamic group of student leaders and adult allies involved in ﻿Genders and Sexualities Alliances and Queer-Straight Alliances﻿ throughout Ohio. The Ohio GSA Network evaluates, directs, and implements programs and services to create safer and more supportive schools for LGBTQIA+ students and their allies/friends. GSAs in the network are invited to join us for our major social, educational, and service events including Bar-B-Queer, Wildlights at the Columbus Zoo, Other Prom, PRIDE events, and Ohio's Spring and Fall GSA Summits. A group discussion from a GSA Summit. A Genders and Sexualities Alliance (GSA) (sometimes referred to as a Gay-Straight Alliance or Queer-Straight Alliance) is a student-run club that provides a safe place for students to meet, support each other, talk about issues related to sexual orientation and gender identity, and work to end transphobia and homophobia. Many GSAs function as a support group and provide safety and confidentiality to students who are struggling with their identity as lesbian, gay, bisexual, transgender, or questioning. In addition to support, some GSAs work on educating themselves and the broader school community about sexual orientation and gender identity issues. They may bring in outside speakers to cover a particular topic such as LGBTQIA+ history. They may organize a "Pride Week" or "LGBTQIA+ Awareness Events" and offer a series of educational workshops, panels, and pride celebrations. Many participate in the Day of Silence, a day when participants remain silent all day as a way of acknowledging the silence induced by homophobia in our society. Student-led GSAs are leading the way in making schools LGBTQIA+ inclusive and safe spaces for all students. According to GLSEN, LGBTQIA+ students at schools with GSAs are less likely to feel unsafe at school and more likely to feel connected to their school community than LGBTQIA+ students without GSAs. 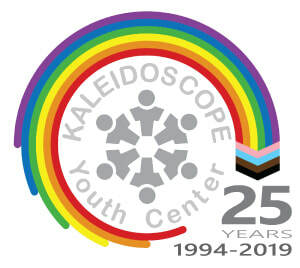 To connect with other groups from across the state, we ask that every year you register your GSA with KYC. This means you'll be connected to our resources and events, and gain access to exclusive materials from the National GSA Network and GLSEN that will help empower your school and community.